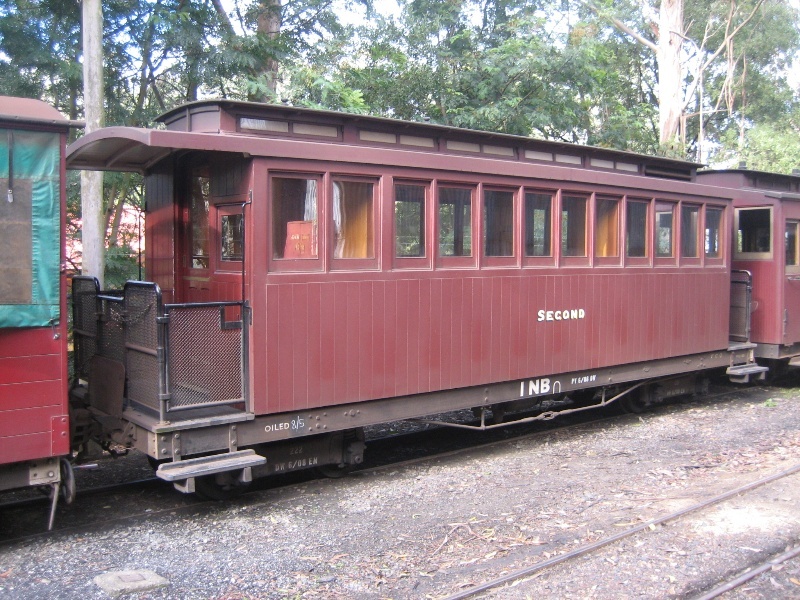 The Puffing Billy Rolling Stock Collection consists of three locomotives, six carriages and six other assorted vehicles designed for use on the Victorian Railways narrow gauge lines. The items were built between 1898 and 1926. The majority of this collection was associated with Victoria Railway's operation of the Upper Ferntree Gully to Gembrook line. Other items were used on narrow gauge railways elsewhere in Victoria. 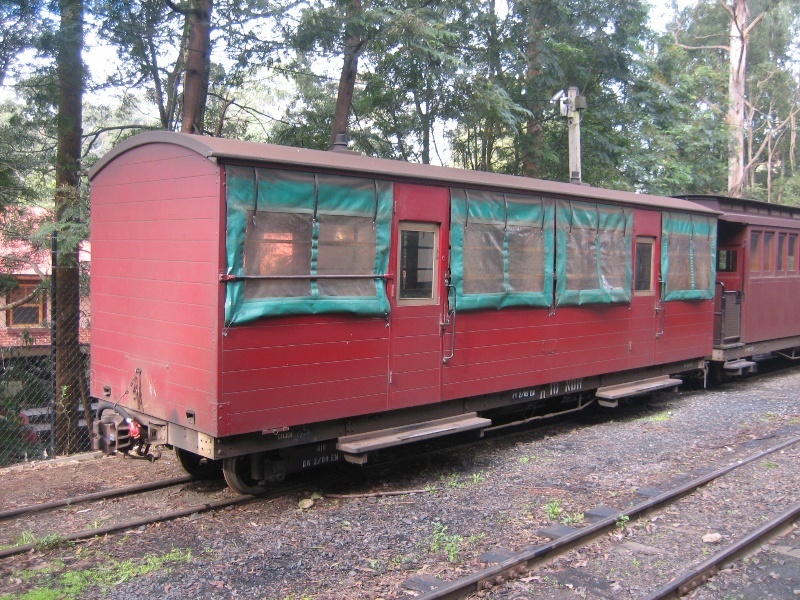 The collection is located at various sites within the Puffing Billy Railway and is still in use. Victorian Railways up until 1899 were wholly operated on broad gauge lines but the promise of cheaper construction costs, particularly in difficult terrain, made narrow gauge lines attractive to the colonial government which was seeking to extend its railways into some of the colony's more mountainous area. However narrow gauge lines were strenuously resisted by railways administration who argued that despite the perceived economy of their construction, they were generally uneconomical to run due to their limited carrying capacity and their incompatibility with broad gauge infrastructure which necessitated transhipping goods. Despite this resistance four narrow lines were commissioned. The first to be constructed was the Wangaratta to Whitfield line which opened in March 1899 followed by Ferntree Gully to Gembrook in December 1900, Colac to Beech Forest in March 1902 and the Moe to Walhalla line in May 1910. As predicted they all ran at a great financial loss and were systematically closed down from the mid 1950s. General settlement in the Dandenongs occurred in response to selection in the 1870s followed by a further influx of people in the 1890s. The land was steep and heavily timbered posing difficulties for both agriculture and transport. The Upper Ferntree Gully to Gembrook Line was opened initially to provide transport for farmers and timber millers in the area and brought economic benefit particularly in more remote locations through access to markets for goods that previously had been too difficult to transport. Access to the Gembrook line at Upper Ferntree Gully from the metropolitan broad gauge line opened the area along the route to weekend day trippers who were catered for after 1911 on tourist excursion trains. Apart from occasional trips on the Colac to Beech Forest line, the Gembrook line was the only line to have this service. The height of its popularity as a tourist activity occurred during the First World War but continued to be a popular attraction. Following the closure of the line in April 1954, public pressure resulted in the section between Upper Ferntree Gully and Belgrave being temporarily opened for tourist traffic until February 1958 when that section was finally converted to broad gauge and electrified as an extension of Melbourne's suburban rail network. The Puffing Billy Preservation Society (PBPS) was formed on 8 June 1955 to support the ongoing operation of the railway as tourist line. The line between Belgrave and Menzies Creek was reopened by the PBPS in July 1962 which was followed by the extension of the line to Emerald in July 1965 and eventually to Gembrook in October 1998. The 1920 styled Belgrave station building was constructed in 1991. The Emerald Tourist Railway Board was created by an Act of Parliament on 1 October 1977 (The Emerald Tourist Railway Act 1977) with the responsibility for the "preservation, development, promotion and the maintenance of the narrow gauge steam railway (known as Puffing Billy) and for the operation management and control service thereon...for public recreation purposes". The Board owns and controls the Puffing Billy assets. Prior to the creation of the board and the implementation of the Act, the assets were owned by the Victorian Railways. 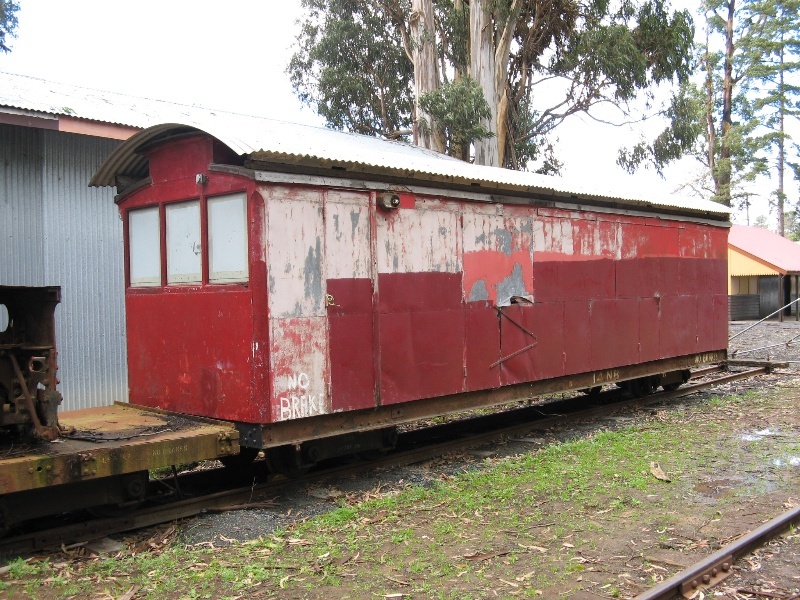 The Puffing Billy Rolling Stock Collection is of historical and social significance to the State of Victoria. The Puffing Billy Rolling Stock Collection is of historical significance as a collection of Victorian Railways locomotives rolling stock that operated on Victorian narrow gauge from 1899 to 1962. The Puffing Billy Rolling Stock Collection is of historical significance for its role in the history of tourism in Victoria. 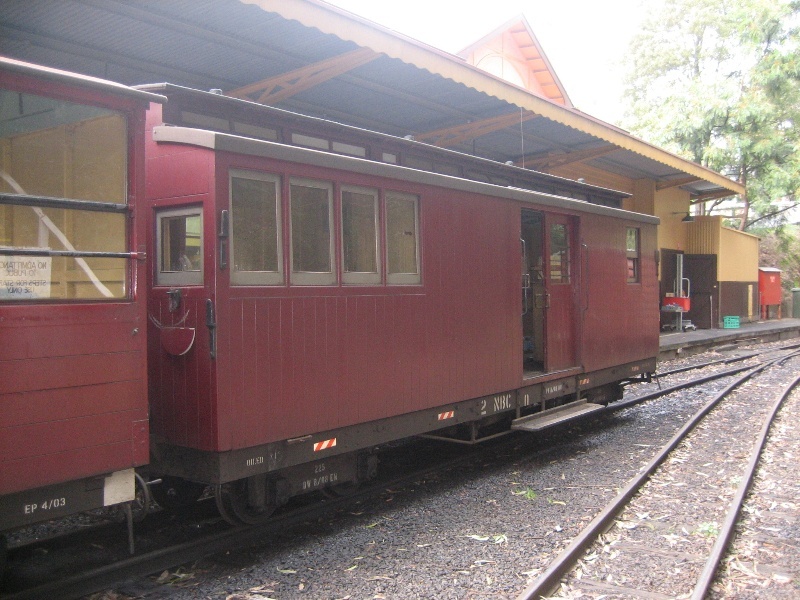 The Puffing Billy Rolling Stock Collection is of social significance for its connection to the Puffing Billy Tourist Railway, visited by thousands of Victorians annually. This was demonstrated in the groundswell of public support which led to the continued running of Sunday tourist services from Upper Ferntree Gully to Belgrave from the time of the closure of the line in 1954 to 1958 and in the operation of the Puffing Billy Railway from 1962 to the present. Narrow gauge railways were attractive to politicians in the nineteenth century who wished be seen to be providing infrastructure without having to spend large amounts of money to provide them. Narrow gauge railways were cheaper to construct than broader gauge lines and did find favour in the larger states. Queensland and Western Australia run narrow gauge lines of 3' 6". New South Wales as a medium sized state constructed its railway on the standard gauge of 4' 8 1/8" whereas the smaller states of Victoria and South Australia ran broad gauge railways of 5' 3". Narrow gauge lines promised economy of construction, but not necessarily of operation, in difficult terrain. The cost of operating a narrow gauge line is only sustainable as long as there is no competition from other forms of transport along its route. It was recognised in Queensland that narrow gauge railways would be slower than using broader gauge lines that they would still be faster than any other form of land transport over unmade tracks, and as a result the cost of providing railways over such a large would be restrained. Narrow gauge was becoming attractive by the late 1860s following the successful conversion of the 2ft Ffestiniog Railway in Wales in 1863 from horse power to steam. Since the 1870s when the north east and Ararat lines were successfully argued to be broad gauge, narrow gauge had been built successfully around the world in difficult terrain such as the Darjeeling Himalaya line and the Denver Rio Grande railway in Colorado using newer technology. They paid dividends but this was more as a result of very high rates and a monopoly on traffic. The Zeehan to Dundas line in Tasmania also impressed the politicians. As all three of three of these railways operated as monopolies with no alternative transport options they could not fail to make a profit. The narrow gauge lines in Victoria had alternate forms of transport and could never operate as monopolies. In addition the rates charged were those set for broad gauge lines and were to low to recoup the operating costs of narrow gauge lines. The advantage of narrow gauge lines over broader gauges is that they can be built with tighter corners and require less width and therefore less earthmoving and lighter and smaller infrastructure to create. Narrow gauge also has the advantage of being easier to construct in difficult topography and is more can be more economical in areas of low population density than broader gauge. Broader gauges are generally more expensive to build than narrow gauge lines, however this advantage in construction is a liability in operation. Where broader gauges can take heavier loads and more powerful locos as the loads are spread wider the carrying capacity of narrow gauge lines is restricted by the smaller sized rolling stock and the limitations of the lines in carrying heavy loads. 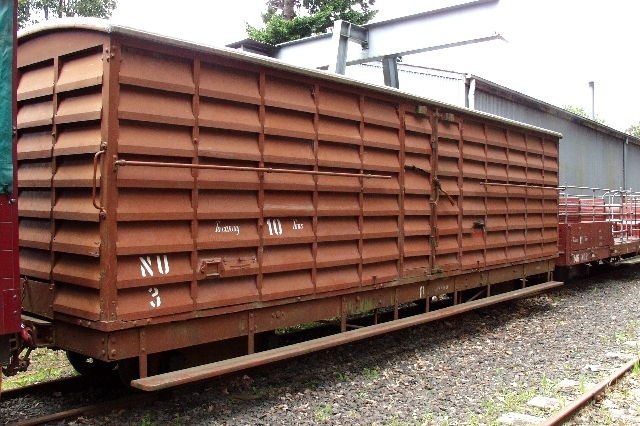 This limits the ability of narrow gauge railways to carry large loads. In addition narrow gauge is less stable and therefore trains must run slower than a broad gauge train. This results in a smaller slower train with limited carrying capacity. A narrow gauge railways are not a great deal cheaper to run than a broader gauge their limitation mean they can't recoup their initial investment or running costs as readily. Narrow gauge railways can only be economical when then there is no other viable competition from another form of transport. The cost of transporting goods by narrow gauge were further exacerbated by its incompatibility with broad gauge rolling stock which meant all that goods that needed to go onto narrow gauge rolling stock from broader gauge rolling stock and vice versa had to be transhipped from one to the other. In Victoria where haulage rates where the same for narrow gauge as for broad gauge lines and where it narrow gauge lines were in competition with road transport, narrow gauge lines were never going to be economical. While Victorian politicians were enamoured with the idea of narrow gauge lines, Victorian railway engineers and those running the railways were vehemently opposed to it. This became an issue at the time the North East to Wodonga during the late 1860s was being proposed. It was considered by politicians that the line could narrow gauge. This opposition was due in great part to the view that it would be best to maintain an internal uniformity of gauge throughout the colony, where the adoption of narrow gauge would introduce incompatibility into the system, providing unnecessary complications in operating the network at the added costs of switching goods and people between the gauges. Thomas Higginbotham, Chief Engineer of the Victorian Railways and his NSW counterpart, John Whitton, argued for uniformity of gauge within each colony. Higginbotham was successful and narrow gauge continued to be resisted as politicians continued to refuse see narrow gauge as uneconomical and break of gauge as being disastrous. The first sod of the north east line was turned on 20 June 1870 for its construction as a broad gauge line. It again became an issue in 1871 when the new line to the west of the colony via Ballarat was approved. Tenders for both 5' 3" broad gauge and 3' 6" narrow gauge were called. It was decided to go with broad gauge after the tenders were opened and the cost of narrow gauge was only marginally less than that of broad gauge. The politicians eventually go their way with the perceived need to construct railway lines into some of the states more mountainous areas. The Lilydale to Warburton was recommended for construction as a narrow gauge line but broad gauge was successfully argued for and it was built as such between 1899 and 1901. Railway administration continued to oppose narrow gauge but as the construction of new line was in the hands of the Parliamentary Standing Committee they had less influence than previously. While railway administration failed in convincing the politicians against narrow gauge, they were successful in changing the gauge from the initial 2' to 2' 6" which would at least allow the use of larger and more powerful rolling stock. The first narrow gauge line built was the Wangaratta to Whitfield line. Orders to changes the gauge from 2' to 2' 6" were issued prior to construction. Allowing the adoption of the 2' 6" gauge meant that rolling stock of proven designs could be used. The first two narrow gauge locomotives were imported from America. They were two 2-6-2 tank engines built by Baldwin in Philadelphia. Newport built a further fifteen similar locos between 1900 and 1916. They were known as NA class locos and were the last steam locos to be worked by Victorian Railways. The N stands for Narrow. 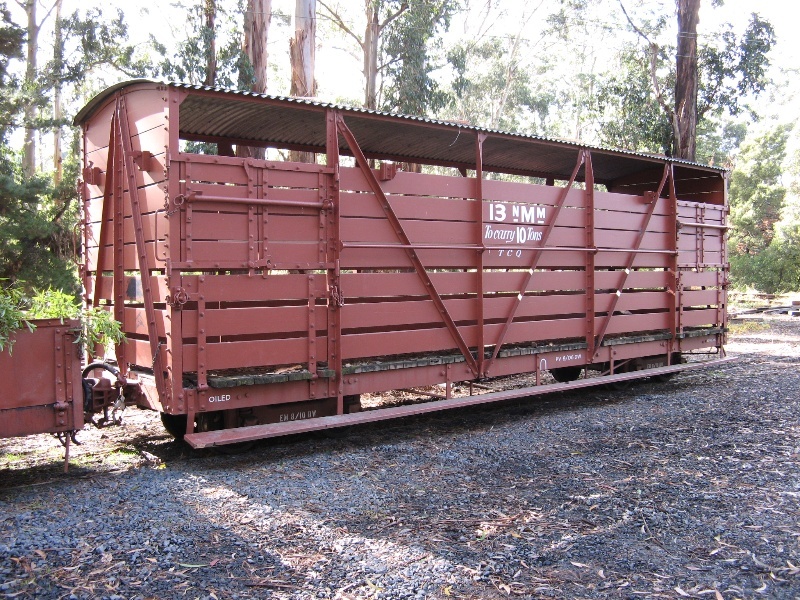 The wagons were based on the slightly larger 3' 6" bogie wagons used in Queensland. The next two narrow gauge lines were strenuously opposed by John Mathieson (Commissioner) but the Parliamentary Committee continued to ignore him and the two new lines opened; Ferntree Gully to Gembrook 18 December 1901 and Colac to Beech Forest 1 March 1892. The Moe to Walhalla line was the last of the narrow gauge lines to be built. Probably the only case in Victoria where narrow gauge was the best solution to the transport problem. Access was extremely difficult and the town was populous, prosperous and productive. The line opened through in May 1910. Unfortunately mining in Walhalla was winding down and ceased three years later. The railway at best only ever managed to generate enough only half the income needed to pay for its working. All four of the narrow gauge lines worked at a loss. During the mid 1920s the more traffic they generated the greater the losses became. Typical earnings per train mile were 3s where operating costs were 9s per train mile. One attempt at a solution was to order two more powerful locos to work the two most difficult lines; Walhalla and Colac-Beach Forest. In 1925 two 2-6-0 + 0-6-2 articulated Garratt locos were ordered from Beyer Peacock in Manchester. The advantage that Garratt engines had was that as they were articulated they had lower axle loads and allowed for more powerful locos to run on narrower gauge. These were the only locos imported into Victoria between 1912 and 1950. They were numbered G41 and G42 and worked most of the traffic on both those lines until they were closed. Even though they brought savings to the operation of the lines, an estimated £12 173 p/a (they cost £21618 to buy the pair) their purchase was justified but they could not bring the lines into profitability. The success of Victorian narrow gauge railways was hampered from the beginning because it came at the same time as the development of motor transport which was to provide competition. The other issue was that in difficult terrain narrow gauge was costly to operate and its productivity was low and rates had to reflect this. Amongst other factors for its lack of success was the limited amount of weight the narrow gauge could carry and the cost of transhipping goods from broad gauge wagons to the narrow gauge ones. In Victoria the narrow gauge lines were run at the same rates as the broad gauge lines and could never hope to be profitable. This was less of an issue when there was no other viable transport competition but this was not the case in Victoria where the road transport was a viable alternative. The Upper Ferntree Gully to Gembrook Line was opened on18/12/1900 initially to provide transport for farmers and timber millers in the area. General settlement in the Dandenongs occurred in response to selection in the 1870s followed by a further influx of people taking advantage of closer settlement in the 1890s. The land was steep and posed difficulties for both agriculture and transport. The construction of the railway brought economic benefit to settlers in more remote locations in the Dandenongs through access to markets for produce that previously had been too difficult to transport. As with the other narrow gauge lines, the Gembrook line was a financial liability for the Victorian Railways It was estimated in 1930 that it cost more per train mile to carry an average of 60 tons per trip than it did for the Melbourne - Sydney express to carry 360 tons per trip. 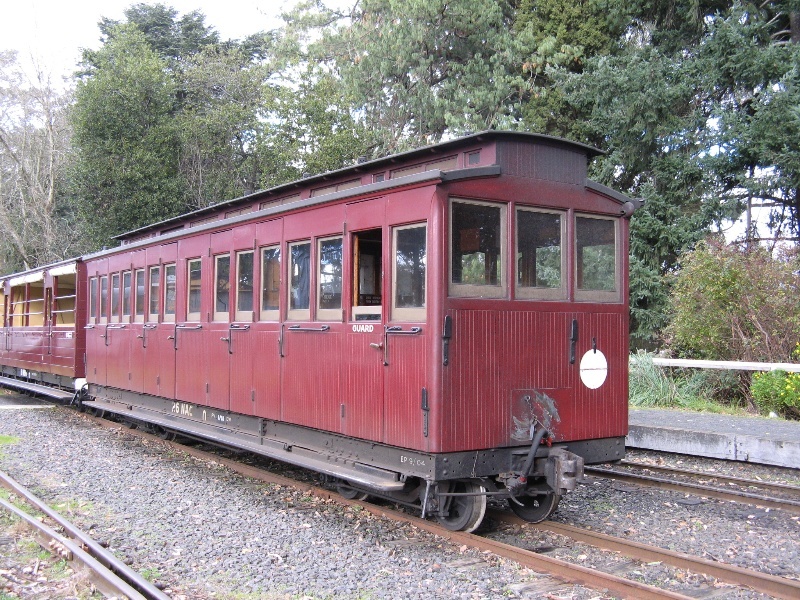 In addition VR also ran a bus service in competition with its own railway on the Gembrook line. Road transport also competed for goods transport. In the 1953/53 financial year the Gembrook line lost the equivalent of $26,000. The line was partially closed due to a landslide between Selby and Menzies creek in August 1953 and was completely closed in April 1954 but the section between Upper Ferntree Gully and Belgrave was temporarily opened for tourist traffic until February 1958 when that section was converted to broad gauge and electrified as an extension of Melbourne's suburban network. Access to Gembrook line at upper Ferntree Gully from the metropolitan broad gauge line opened the area along the route to weekend day trippers who were catered for after 1919 with the introduction of open side tourist carriages. It is this tourist role which provided the impetus for the establishment of the Puffing Billy Railway. The impetus to run the 'Puffing Billy' narrow gauge as a tourist train came In November 1954 from 'The Sun' journalist David Burke who was looking for a story for the 'Young Sun' section of the paper. It was suggested to him by a local rail enthusiast that trains could run on the line as a good bye gesture. Special trips were organised 11 December 1954 with tickets being made available to 'Young Sun' readers. The day attracted 30,000 people. 2500 of which got rides. A second day was organised for December 27. Following a rally organised by Harold Hewitt, a teacher at Melbourne Grammar, at Upper Ferntree Gully 4 January 1955 the railways commissioners agreed to open the line between Upper Ferntree Gully and Belgrave for a trial period of 3 months with a guarantee of £1750 against operating losses. The first run under the new agreement operated on 9 April 1955. 10,000 passengers used the service in the first twelve months. 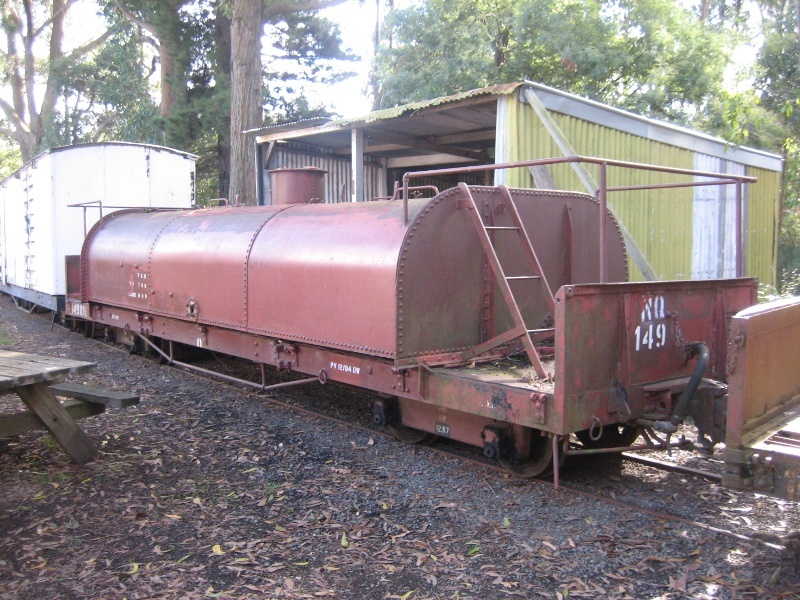 The Puffing Billy Preservation Society (PBPS) was formed on 8 June 1955 to assist with ongoing operation of railway. A section of the old line was reopened by the PBPS four years later following the construction of the terminus station at Belgrave and the bypassing of the line around the landslide by the Citizens Military Force in 1959. this was followed by the official re opening of the line between Belgrave and Menzies Creek took place on 28 July 1962. In the first ten months of it operation the railway carried 100,000 people. The line was extended from Menzies Creek to Emerald on 31 July 1965 and later extended to Lakeside on 18 October 1975 and to Gembrook on 18 October 1998. The 1920s style Belgrave station building was built in 1991. The Emerald Tourist Railway Board was created by an Act of Parliament on 1 October 1977 (The Emerald Tourist Railway Act 1977) with the responsibility for the "preservation, development, promotion and the maintenance of the narrow gauge steam railway (known as Puffing Billy) and for the operation management and control service thereon...for public recreation purposes" It is the Board that owns and controls the Puffing Billy assets. Prior to the creation of the board and the implementation of the Act, the assets were owned by the Victorian Railways. The day that the Act was implemented meant it was the same day, 1 October 1977, that the last narrow gauge train operated by Victorian Railway ran. 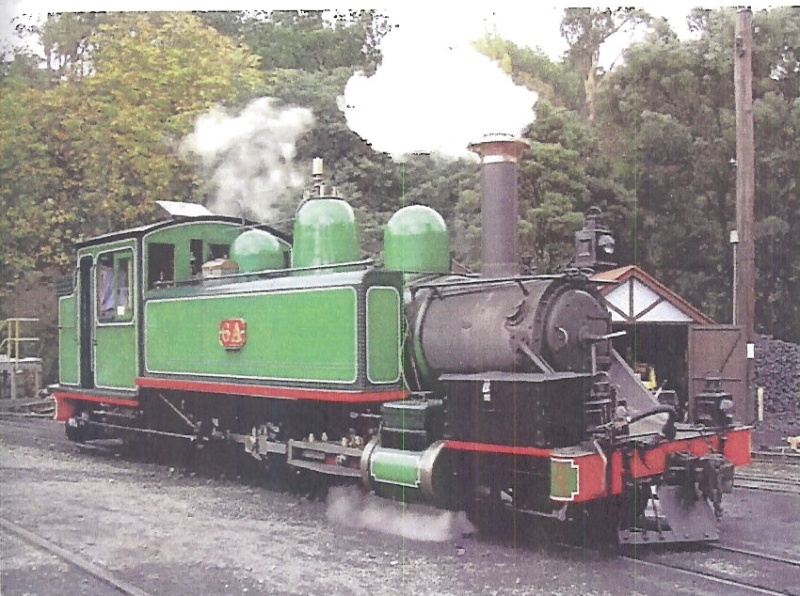 The Puffing Billy Preservation Society is incorporated as a company and was established on 8 June 1955. Its aim is too support the ETRB and to ensure the continued preservation and operation of the Puffing Billy narrow gauge steam railway. The G42 Story, Peter Medlin. Puffing Billy Locomotive and Rolling Stock Classification. Puffing Billy Rolling Stock Register. Built between 1898 and 1926, these locomotives and carriages were part of the Victorian Railways narrow gauge railway system which operated until 1962. The reconstruction of Locomotive 3A is permit exempt if works are undertaken in accordance with those specified in the Puffing Billy Railway Heritage Standards Manual. Following the reconstruction of Locomotive 3A all works, including 10 year rebuilds, that conform to the Puffing Billy Railway Heritage Standards Manual are permit exempt. All works to Locomotives 6A and G42, including 10 year rebuilds, that conform to the Puffing Billy Railway Heritage Standards Manual are permit exempt. All works to registered rolling stock that conform to the Puffing Billy Railway Heritage Standards Manual are permit exempt. All A,B,C and D examinations to locomotives are permit exempt. All inspections and general maintenance works are permit exempt. Re-machining of wheels, brake lining and air hose replacement and carriage repairs are permit exempt. 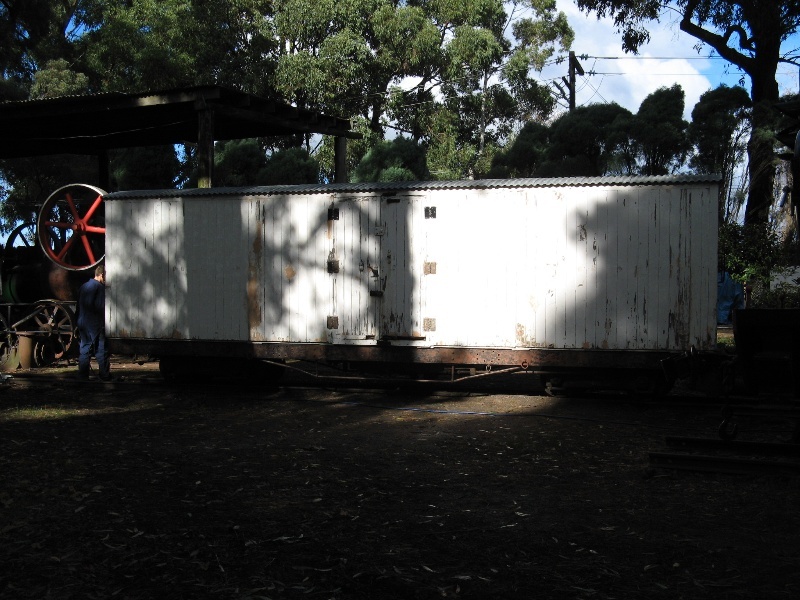 Painting that conforms to Puffing Billy Railway Heritage Standards Manual is permit exempt. Re-roofing and other structural carriage work that conforms the Puffing Billy Railway Heritage Standards Manual is permit exempt. 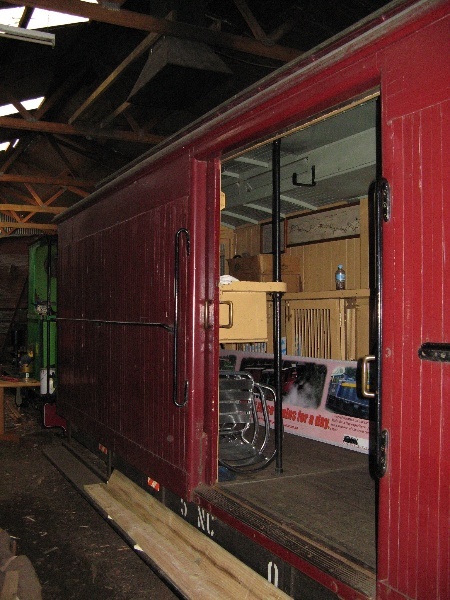 The use and exhibition of the Puffing Billy Rolling Stock Collection is permit exempt. 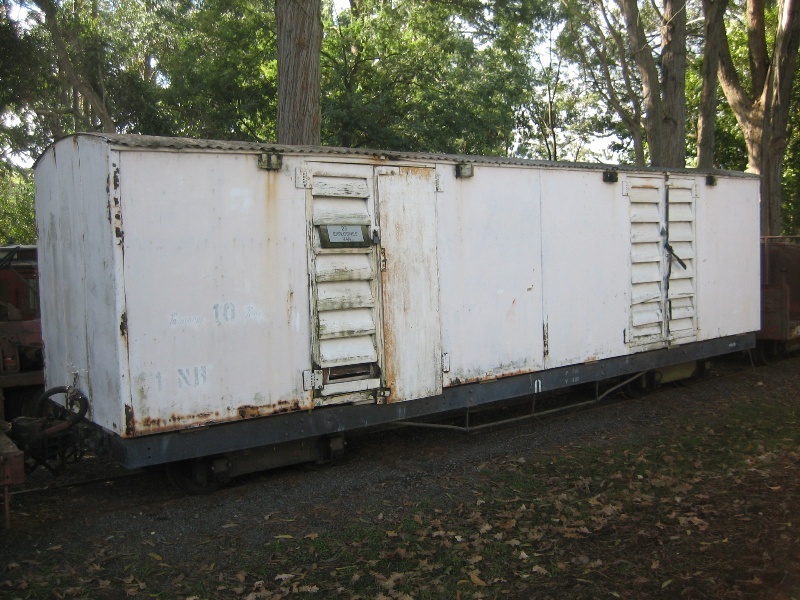 The temporary relocation within Victoria of any piece of the Puffing Billy Rolling Stock Collection for maintenance or exhibition is permit exempt. The temporary relocation, movement or external loan of a registered heritage object does not require permit approval by the Executive Director pursuant to the Heritage Act 1995 where the activity is performed in accordance with the accepted standards, policies and procedures of the organisation concerned. All works including modification to objects not included in the extent of registration are permit exempt. The purpose of the Permit Policy is as a guide only in assisting when making decisions regarding works to the objects. It is recommended that any proposed works be discussed with an officer of Heritage Victoria prior to a permit application. The purpose of the permit exemptions is to allow works that do not impact on the heritage significance of the objects to occur without the need for a permit. Works other than those mentioned in the permit exemptions may be possible but will require either the written approval of the Executive Director or permit approval. It is important that any proposed changes to the objects are considered and assessed on the basis of clearly defined plans and proposals and must be planned and carried out in a manner which prevents damage to the significant fabric of the registered objects. It is recommended that before any changes are undertaken the Puffing Billy Railway Heritage Standards Manual, June 2007, be consulted and works be undertaken in accordance with it. Heritage Victoria is to be advised of any changes to the Puffing Billy Railway Heritage Standards Manual. The Executive Director may amend the permit policy and permit exemptions in response to any changes.